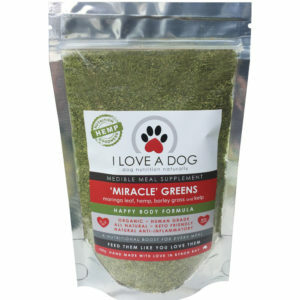 If you’re looking to upgrade your dog’s immune system and restore gut health, this is the blend for you. 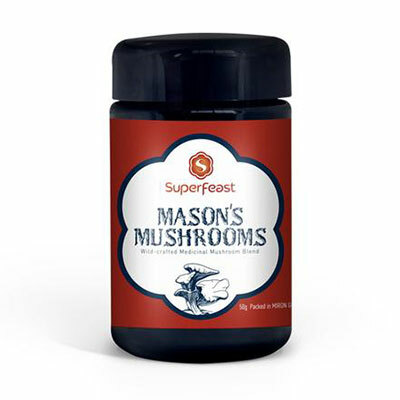 Mushroom superhuman Mason (founder of Superfeast) has created his own specialty blend of eight of the world’s greatest and most powerful medicinal mushrooms to deliver a power pack of immunity support, advanced hormonal adaptability, and full body integration, especially of the nervous and immune systems. 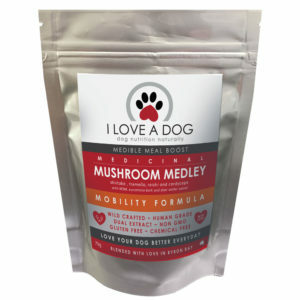 Medicinal mushrooms are adaptogenic herbs revered in the ancient herbal traditions for their ability to build immunity, balance hormones and nourish the nervous and immune systems (they provide food for the immune system). Medicinal mushrooms are (generally) the variety that grow on trees, working symbiotically with the plants and soil to unite the forests of Earth in maintaining a super-healthy ecosystem. This is what they do in bodies too. All the herbs used in this blend are tonic, meaning they will work to adapt the body to stress, balance hormones, and enable immunity to evolve permanently to ensure health is potentiated for ultimate longevity and vitality. Wild-crafted mushrooms, such as these, are known to be the most potent medicinal mushrooms as they are grown in trees and said to work symbiotically with the forest and the trees. Our wildcrafted medicinal mushrooms are grown in and harvested from their natural homes in pristine forests in wild China. 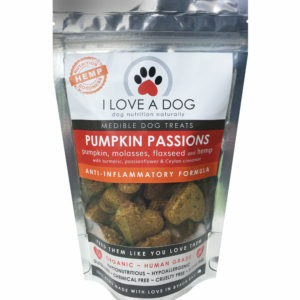 They are super clean (third-party tested) and super potent. Chaga*, reishi*, cultivated Cordyceps sinesis CS-4 strain (vegan), lion’s mane*, maitake*, shiitake*, Agaricus blazei* and poria* powdered extracts. 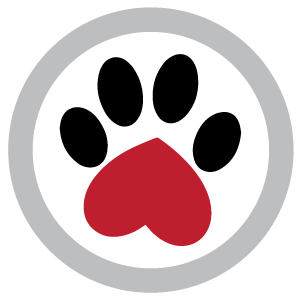 Not irradiated. No added grains, fillers, starch, or mycelium.